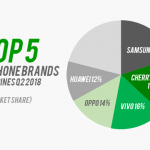 OPPO becomes the number one smartphone brand in the Philippines for Q3 2018 or from July to September 2018. 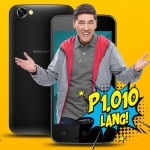 It dethroned long-time title holder Cherry Mobile that now sits at the second spot. This is according to shipment estimates by Canalys. It’s a global technology market analyst firm that focuses on smartphones and other consumer electronics products. OPPO has 20% market share of smartphones in the Philippines. That’s 0.7% higher than Cherry Mobile’s 19.3 market share while Vivo got 12.5%. But, the total number of smartphones shipped in the Philippines during Q3 2018 is 3.9 million units. That means OPPO shipped around 780,000 smartphones during the period! The company also announced this news during the launch of the OPPO R17 in the country. 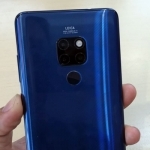 Based on what I’ve observed from my database of smartphones, the OPPO A3s and other affordable smartphones from OPPO might have contributed a lot to this breakthrough. During the same period, the OPPO A3s is the third most viewed smartphone page on Pinoy Techno Guide. The OPPO A83 and OPPO F7 also made it to the top 10. Now that OPPO has broken Cherry Mobile’s flawless record for the past few years, the homegrown smartphone brand needs to fight back. OPPO’s 0.7% edge might be small but Filipinos are starting to view OPPO’s smartphones as superior. They have to offer more compelling products and eradicate any negative preconceptions from the consumers. 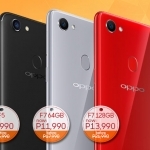 They’ve already release several interesting new smartphones such as the Cherry Mobile Flare S7 but OPPO also has the formidable OPPO A3s and more affordable OPPO A71. It’s an interesting competition to witness and a sure win for consumers.